In this article I’m including a few interesting parts from the 2014 live online event where Christie Marie Sheldon gives a brief webinar introduction and talks a little bit about herself. You’ll get a bit of a glimpse into Christie Marie Sheldon bio and her life story. If you are considering signing up for any of her programs, I find this helps to get a feeling if you can benefit from her guidance or not. As you know by now, Christie Marie Sheldon is a creator of Unlimited Abundance Program and Love Or Above. 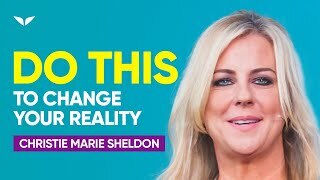 If you haven't listened to any of her courses or live presentations, it is fun to hear Christie Marie Sheldon talk about her own life and achievements. In this article I'm including a few interesting parts from the 2014 live online event where Christie Marie Sheldon gives a brief webinar introduction and talks a little bit about herself. You'll get a bit of a glimpse into Christie Marie Sheldon bio and her life story. If you are considering signing up for any of her programs, or reading through any of the Christie Marie Sheldon reviews, I find this helps to get a feeling if you can benefit from Christie Marie's guidance or not. Hey, everyone. This is Christie Marie Sheldon, founder of the Unlimited Abundance Program. I am so excited that you've joined me today for this Unlimited Abundance energy clearing session. It's not every day that I get to share my gift with this many people at the same time. I am told that we have around 20,000 on the webinar right now and I am so happy to be doing this session again and I just want to acknowledge everyone who joined us in my previous sessions. I am honored that you've decided to participate and contribute your energy again since we will be covering some extremely important new content. And there's a brand new energy clearing session that you're going to experience so you can reinvent your financial reality, starting today, and achieve the abundance, the bank balance, the opportunities, and the experience that you want. For those of you who don't know, I am Christie Marie Sheldon, intuitive life coach and transformation expert. I help people get out of their stuck, repetitive patterns that are stopping them from truly living a fulfilling life filled with everything their heart desires. And I do this by removing blocks and facilitating change in clients so that they can see new opportunities and wealth that they don't otherwise see. Over the past 15 years I've facilitated hundreds of thousands of people around the globe in clearing their blocks via appearances on top ten radio shows, tele-summits, seminars, group coaching programs. And I've done over 20,000 private consultations for clients, and some of these are renowned authors or celebrities, political or business leaders, and even a Noble Prize winner. Christie Marie Sheldon also appeared on stages with other respected authors in the personal growth industry, like Lisa Nichols or Marci Shimoff and John Assaraf and Dr. Norman Shealy and Janet Attwood and more. And what you will hear and experience today is going to cause a major shift in your life, especially in your willingness to receive new abundance. 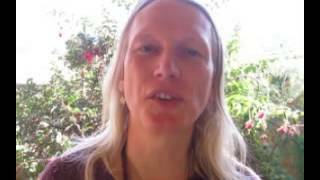 I am sure you can't wait to get started, I am so excited, so let's begin because today you'll be going through a set of powerful clearing statements that will zap some of your major abundance blocks. Think of it like heavy weights that you keep carrying and unknowingly this hinders your progress in life. And you'll feel what it's like to be free again. The time has come for you to break free of the old and enjoy a new reality of freedom and wealth. Yes, a state of unlimited abundance and grace is possible for you. By the time you reach the end of this session you'll know exactly what you need to do to manifest abundance to make this year the best year you've ever had, and continue having even better years in the future. Now I'm not making this up, I've had people who've gone through my sessions who went on to create new businesses from scratch. Some were able to manifest significant raises and promotions that work and some others were able to identify insanely lucrative investments that they otherwise wouldn't have found. So if you haven't already, quickly grab a pen and a piece of paper, I'm sure there will be plenty of things to take note of today. And trust me, you're going to want to remember all of this stuff. But first, let me explain what's in store for you today. Remember, the goal here is to remove any obstacles, energetic ones, that are stopping you from living a life that's truly, truly aligned with your dreams. Because I don't want you to postpone or even, God forbid, abandon your dreams. As I always say, Christie Marie Sheldon, your mission in life is to personally affect the lives of at least 1,000,000 human beings and to help them discover their full potential in life. I also just want to say that if you felt some sort of force driving you to take part in this event then you need to pay very close attention because there might be something here that you need to hear in this session, something that your soul wants you to know right now. Christie Marie Sheldon goes on to describe the online webinar agenda consisting of 7 individual sections and what each of these sections would look like. And then Christie Marie goes on to describe her experiences with money and wealth. This part of Christie Marie Sheldon biography is quite interesting, because it highlights the beliefs related to money that a lot of us have. Christie Marie Sheldon points out that it really is all about our point of view and energy we attach to everything we do. For some people hearing the phrase, “The love of money is the root of all evil,” became a program that they bought into and they think it's bad to have material wealth and money. But I see a lot of moneyed people doing philanthropy or doing good things for the planet. So money is just an energy that you use to do good things for you. Which might surprise you that I call money that way but if I had known what I'm going to teach you 20 years ago, my whole life and my whole world would be very different. Starting in my mid-twenties I manifested an abundance most of us would only dream of. And I'm being conservative when I saw this because I don't like to brag, I don't like to talk about myself. I'm just giving you the information so that you know that I know what I'm talking about because I've lived a multimillionaire's lifestyle. I had the cars, the private plane, the multiple homes in three parts of the world, the five star vacations. I've done it all and I had a lot of fun doing it. I hung out with loads of rich folks, I even hung out with celebrities and I watched how they think and act with money. I learned that wealthy people think money is easy to get and they have no issue trying to figure out the whole game of it. It's an energy that they mastered and they got this energy by doing things that they loved. So, as simple being called Christie Marie Sheldon, I get what it takes to manifest a lot of money and I also have lived the other reality of being poor. I did the poor, broke, college kid thing, I had no cash, I worked my way with like two full-time jobs and stuff putting my way through college. And I've done the full range of manifesting abundance so I also, in this current time, get to do what I love to do for a living. I've worked with well over 20,000 clients one-on-one clearing their blocks to happiness. And these blocks include not only having enough prosperity and abundance but happiness and I think I have a Ph.D. in clearing blocks with people. Even Mother Teresa manifested millions of dollars with her abundance-filled mindset, she attracted millions of dollars from other wealthy and abundant people and she used her energy and her resources to make herself an excellent magnet for wealth. You see, money is just an effect and the true cause of your money situation is your energy field and the unlimited abundance programming that you agreed and aligned with and bought and sold to yourself as true.